M. Jane Brannon is Counsel in the Equine and Health Care industry groups, focusing primarily on equine law and litigation. She practices out of the Firm's office in Lexington, Kentucky. Jane has handled a wide range of litigation matters for a number of the nation’s largest businesses, including auto and trucking accidents, premises liability, homeowner’s liability, equine mortality insurance, professional liability insurance for nursing homes and resident care facilities, along with many other claims covered by insurance policies. 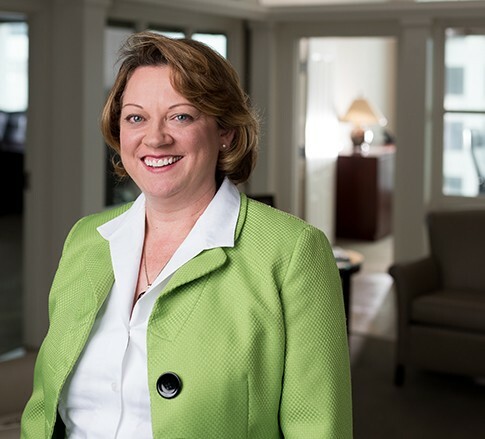 Jane also handles Fair Debt Collection Practices Act and Fair Credit Reporting Act litigation matters statewide for one of the nation’s largest consumer credit reporting agencies. When it comes to handling thorny issues, Jane’s more than 15 years of litigation experience makes her a wise choice. Thanks to her careful analysis and thorough opinions to insurers and other commercial clients, she has exceled within her practice. Jane continues to demonstrate she is an asset to the Jackson Kelly team and to the clients she represents.